At Scioto Valley Heating, Inc. we focus on the Health, Safety, Comfort, and Efficiency of your family's home. With over 30 years in the heating & cooling business, Steve O'Rourke, Owner, remains dedicated to providing quality Carrier products and service, at the best possible price. Your family deserves a safe and efficient heating and cooling system. It's an investment that will provide long term service and reliability. 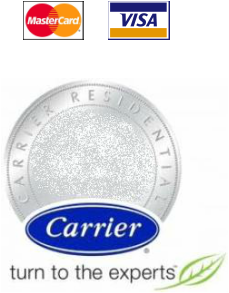 That's why we teamed up with the Carrier product line. Willis Carrier built the very first air conditioner and Carrier has been a leader in the heating and cooling industry ever since. Scioto Valley Heating, Inc. has installed and serviced hundreds of systems in the southern Ohio area and has earned an outstanding reputation for doing the job right the first time without extra charges. And, we stand behind our products and workmanship. With many years of training and experience, Scioto Valley Heating can help you determine your home's heating, cooling, and indoor air quality needs. Our trained professionals are also committed to service after the sale, 24 hours a day. Don't take a chance on your family's safety and your peace of mind. You can contact us today at 740.355.1777 for a free evaluation and quotation, or to service your existing system. Let us earn your trust and confidence, while joining our long list of satisfied customers.